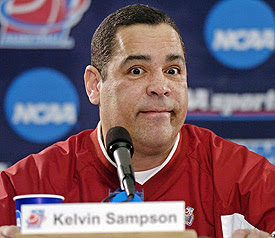 In a move that simply has to be made by IU's AD, Kelvin Sanctions will not be coaching IU for the rest of the season. Good luck to those who still believe there's a chance he's going to be around next season. Also, it should be interesting to see what happens with IU's prized recruit Ebanks & the others in the incoming class.